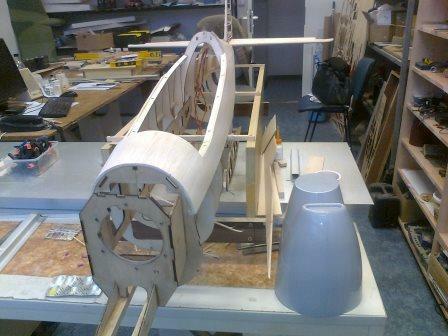 Fuselage building in preparation. 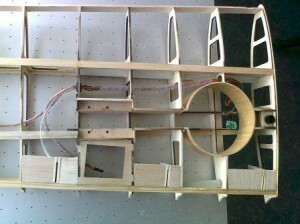 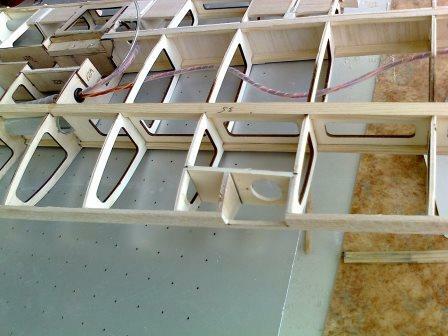 Formers are laser cut from poplar plywood 3 mm and strenght parts are milled from birch plywood 3 mm …. 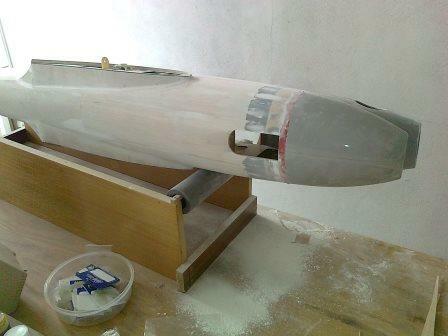 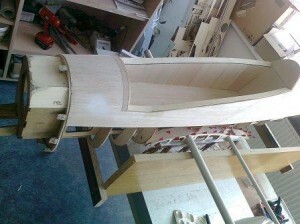 Hull surface is from balsa 4 mm sanded to 3 mm in the end …. 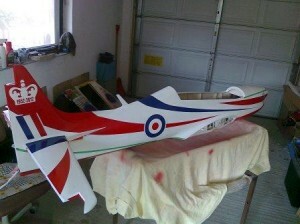 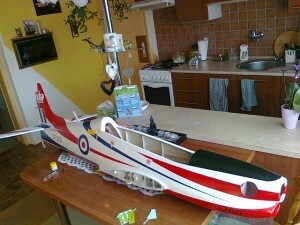 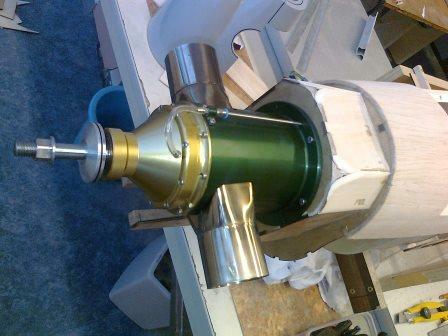 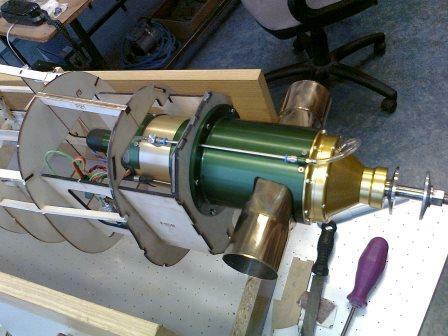 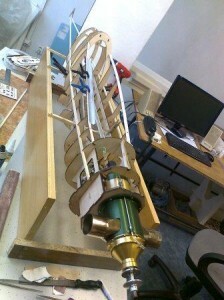 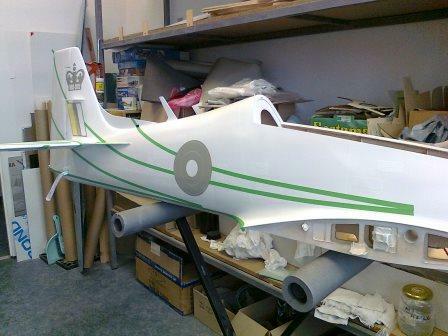 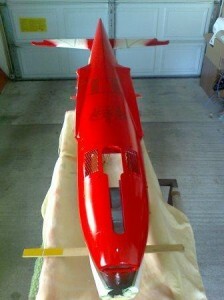 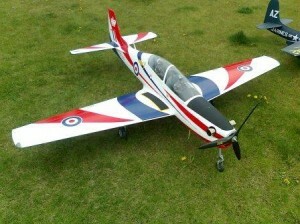 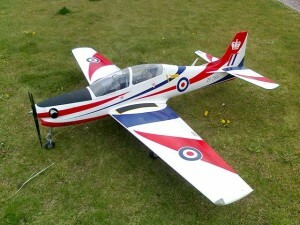 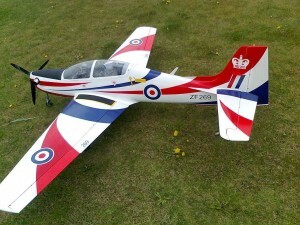 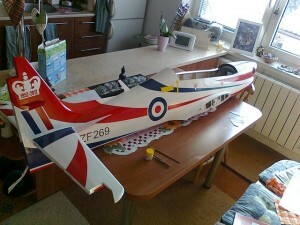 The whole model is lacquered by nitro varnish, sanded and coated by Modellspan. Then two part spray putty was used, sanded, two part spray filler, sanded again and again – never ending Boogie – and sanded “under watter” in the end. Every shadow is this hot summer (2015) is very pleasant ….. 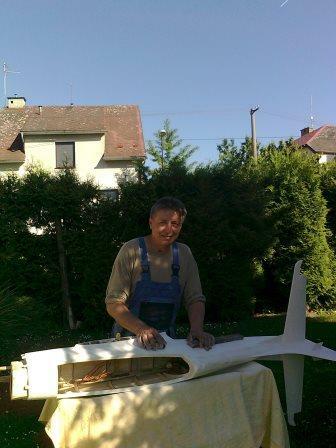 In this very hot summer ( 2015 ) was every shadow pleasant …. 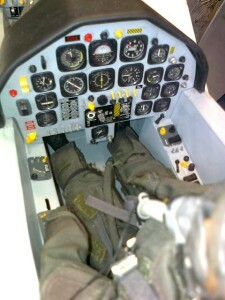 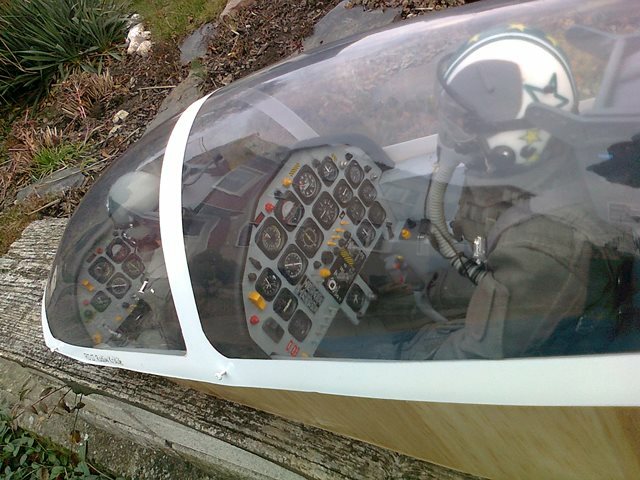 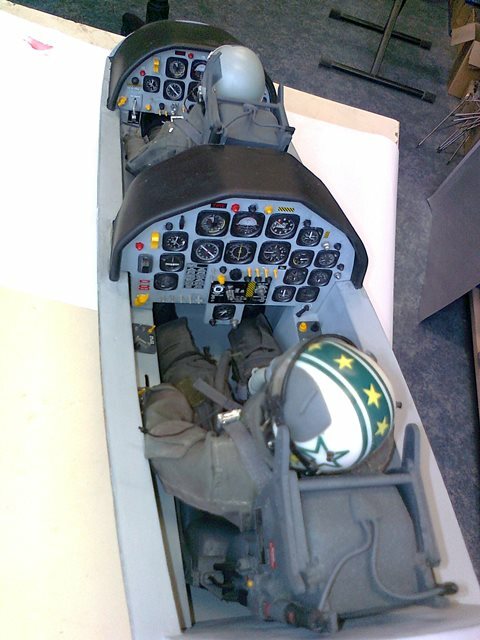 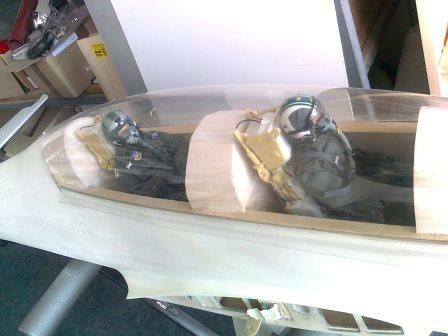 Pilots try to seating posture in the cocpit for the first time …. still without equipment …. 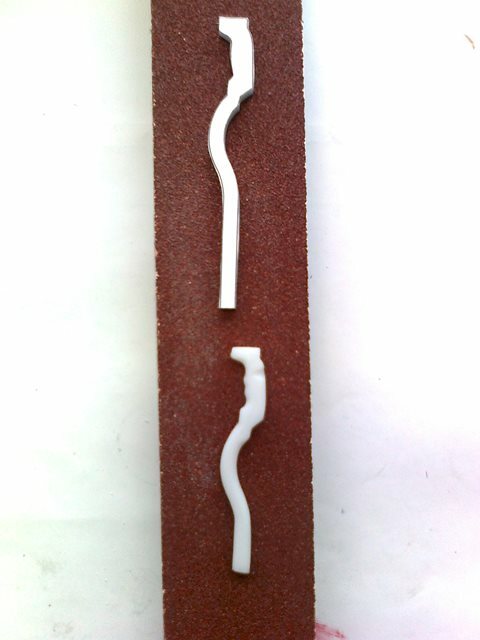 Whole surface was sprayed by two part white colour …. 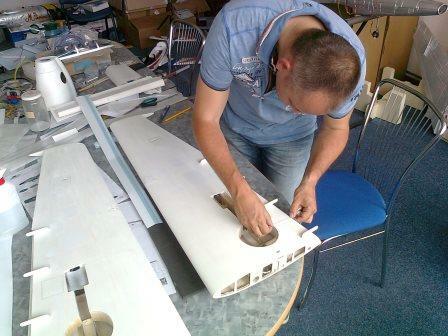 and masking, exhausting work …. the clours spraying is contentment then …. 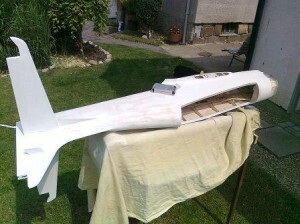 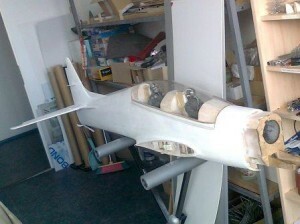 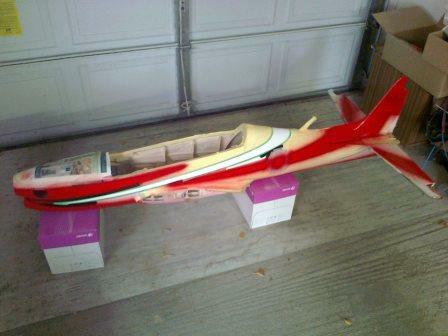 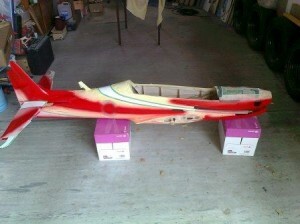 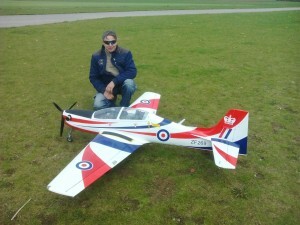 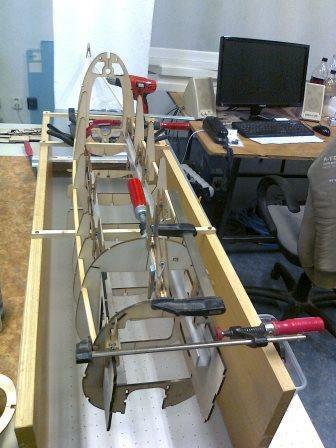 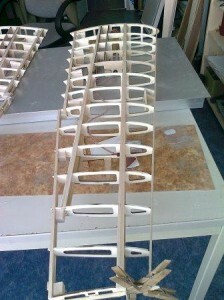 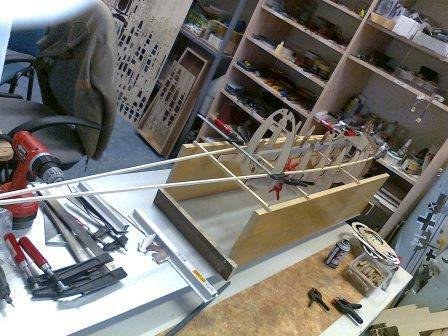 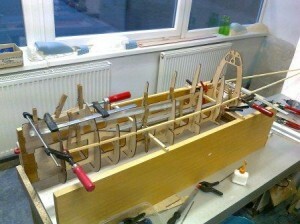 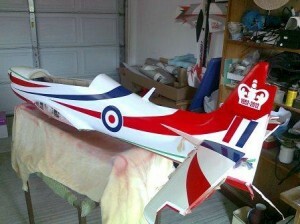 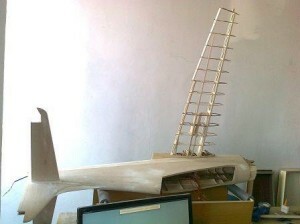 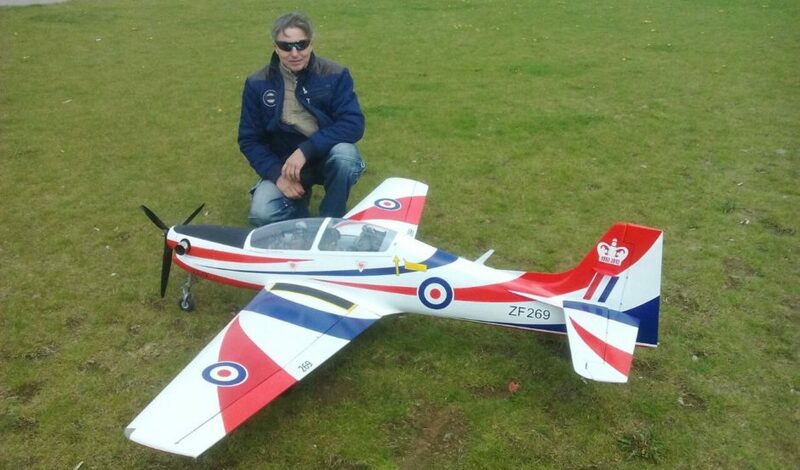 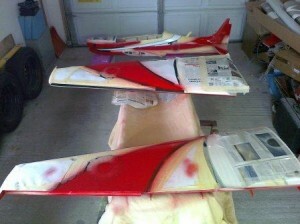 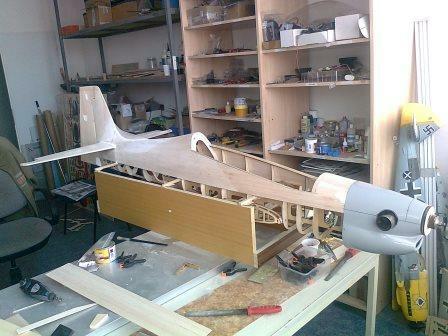 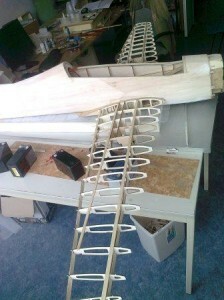 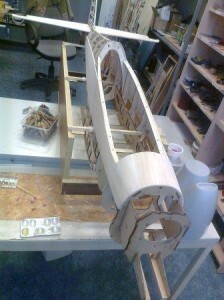 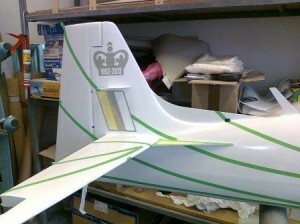 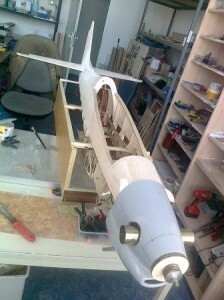 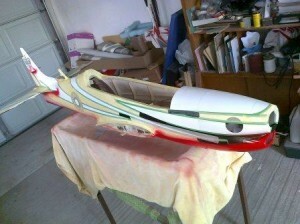 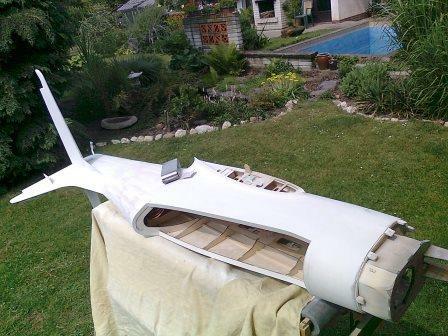 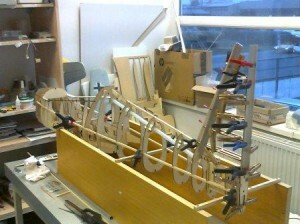 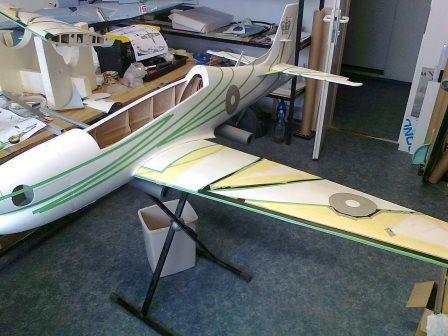 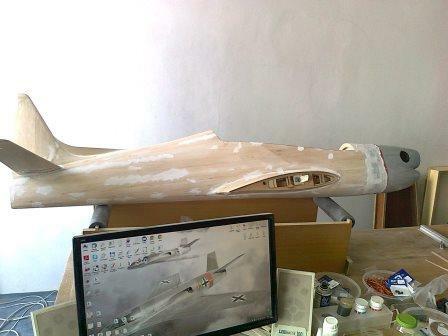 Wings skeleton and set up with fuselage …. 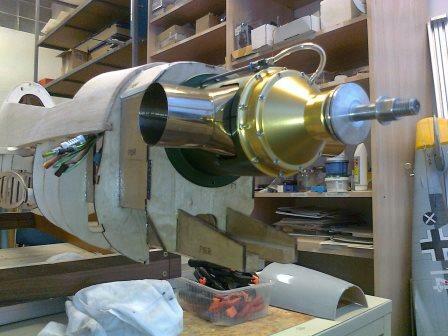 Rivets, lines, covers, mounting holes gluing, all from plotter films …. the model owner has joined …. And here it is …. 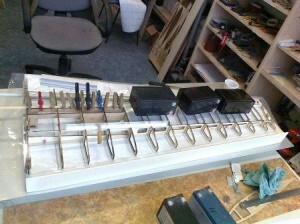 when the things go wrong …. 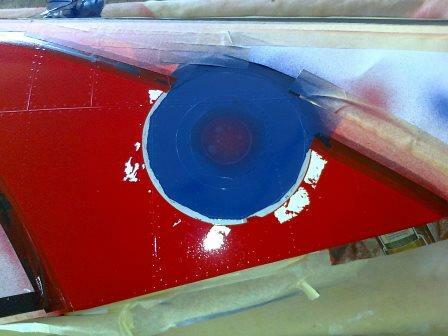 red colour entained to white base during unmasking …. 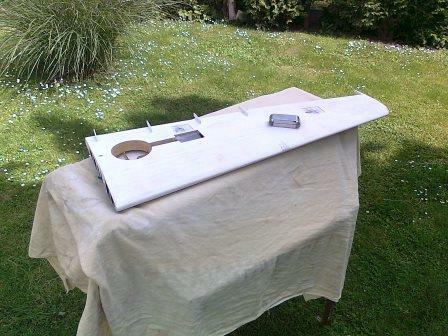 I am afraid I used spirit for degreasing which probably includes some component acting as separator …. no more …. 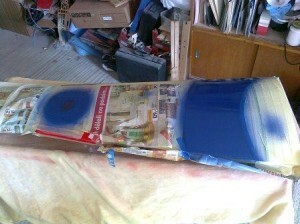 again waiting for me grinding and spraying …. 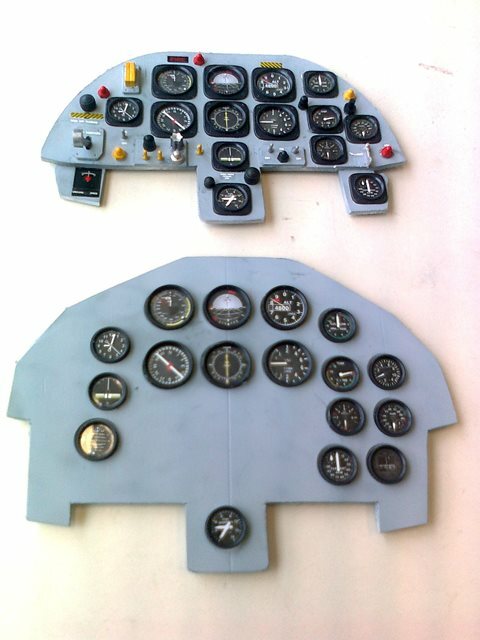 This is, except some corrections, better …. 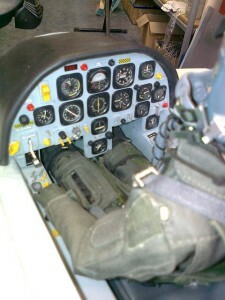 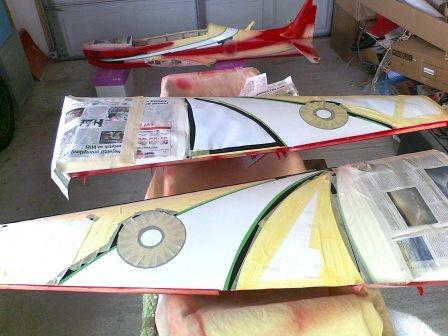 Semifinished products of instrument panels and control sticks …. 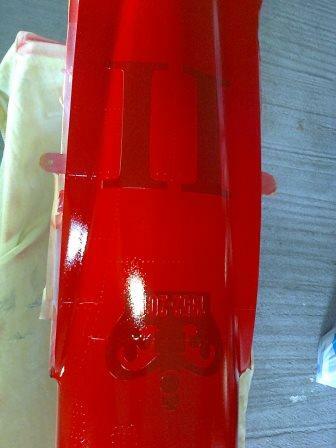 Front and back cocpits, look better now …. 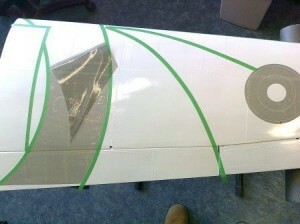 Application of some decals printed on laser printer …. the best way to do it is in the kitchen of course …. 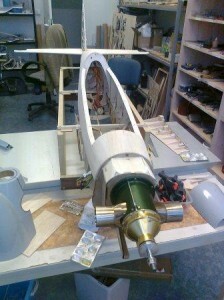 the table is 1200 mm wide ….